‘Park It In The Shade is Sasha’s second installment to three recently finished and outstanding original pieces of work. Released singularly over consecutive months starting November, when put together they’ll form the beginning of a series of releases and stunning collectors pieces. 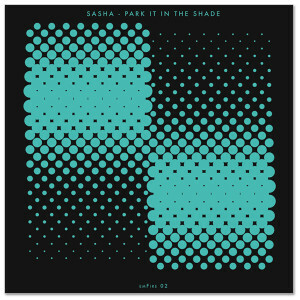 A high design factor has been applied to the vinyl format, each coming as a limited, one-side etched 12”, which marries to a numeric sequence, the design was handled by Insect best known for their recent work with Banksy. We have just received stock and expect to begin pre-order shipments on 12/5/07. Thanks for your patience.